How our learners are progressing… – You can't buy happiness, but you can buy coffee. Allan began working through Learn my Way at Startpoint two years ago and completed the modules. He was told that an iPad might be easier for him to use as he was struggling with the mouse and track pad so he began extra sessions at the Arthur Greenwood centre too. Using bot h the iPad and the laptop, Allan has continued to learn even after completing everything he could on Learn my Way. He realised that he could get more from the internet and starting looking into his ancestry using Find my Past. 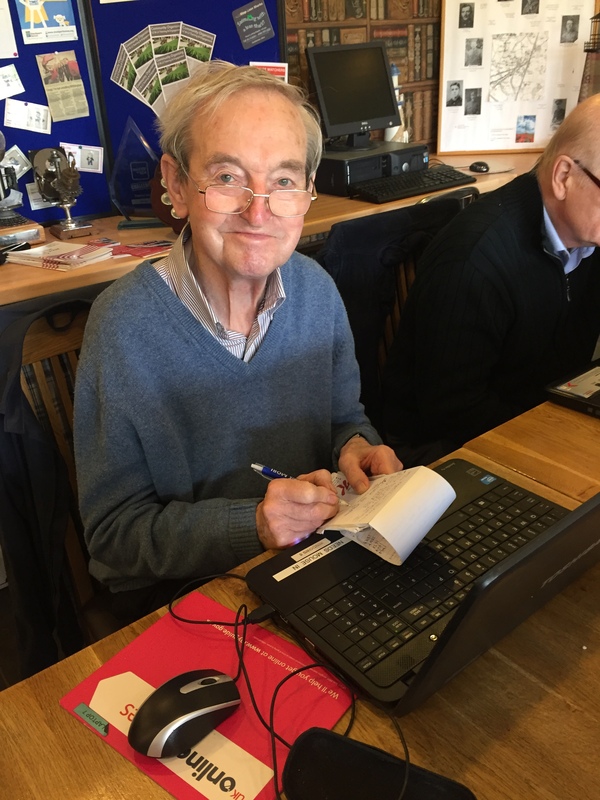 Allan has worked with our Digital Heroes, especially Dave – last month’s Volunteer of the Month, to look through censuses and birth and death records, it’s a long process but he has remained patient and has managed to get back to 1794 so far! Allan is 84 years old and has borrowed an iPad from the Arthur Greenwood centre and had broadband fitted in his flat to continue his search at home, proving that anyone can do it at any age! He has also got into Facebook and is able to message his grandchildren and see their photographs – this is his favourite thing to do. Who says that it’s just the young generation addicted to social media?! Previous Post What we did during get online week 2015 – It’s Shop-tober!